#MYOH2017 : Top 5 Reasons Why Make Your Own Havaianas Is Cooler This Year! Summer is not yet over as our beloved flip-flop, Havaianas brings back the most anticipated Customization event of the year, the Make Your Own Havaianas (MYOH) 2017! I was born in the year 1987, so I can relate to the 90's generations - why am I telling this? Oh dear, #MYOH2017 sets foot into a different time and, hands down, it's one of the best decades ever, the 90's!! Every year, Make Your Own Havaianas (MYOH) lets Havaianaticos step into a different place with the fun themes that inspire the total flip-flop customization experience. And this year is the coolest ever! Here are my top 5 reasons why?! 1. It's the 90's baby! We already experienced the colorful Brazil, sunny Hawaii, and kawaii Japan! This time, let's do the 90's! The '90s was an awesome decade. From the music to the fashion, the movies to the TV shows, the toys and games, to the slang, and the list of reasons goes on and on. It was a simpler time. 90's Video Games, Super Mario!!! It comes in a classic black sole with pixels, inspired by the 8-bit video games that defined the decade. Cue in the nostalgia. 3. 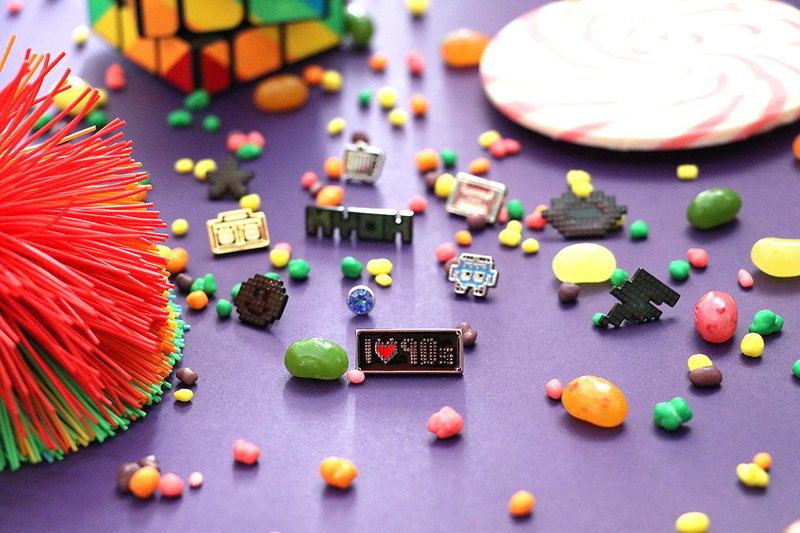 Throwback 90's-themed Pins are total must-have! The pins are also '90s-themed and they are totally rad. The choices include throwback icons of a TV, cassette tape, boom box, and a video game icon. There's a pin that simply says “I ❤ 90s” for those who lived through this rad time. Back in the day, bedrooms were a whole lot cooler if they were glow-in-the-dark. So, Havaianas has come up with glow-in-the-dark pins that come in five super fun designs: a lightning bolt, smiley, star, and lips. 5. MYOH2017 has two legs in Cebu, Ayala Center Cebu (June 9-12) and SM City Seaside Cebu (June 15-18). In Cebu, this year’s MYOH will have two legs. Head to All Flip-Flops Ayala Center Cebu on June 9 to 12 and All Flip-Flops SM Seaside City on June 15 to 18 for something very cool, or as ‘90s kids would say, totally phat. 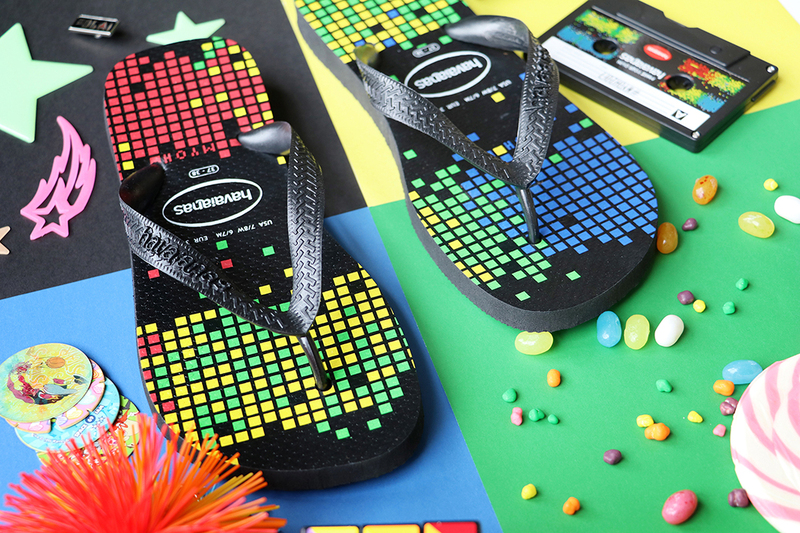 For the first time ever, Havaianas makes use of 3D printing technology that can print pins before your eyes. WHEN AND WHERE IS MYOH GOING TO BE HELD? We have a main event that will be held from May 12 to 14 at the SM Mega Fashion Hall and from May 25 to 28 at the Alabang Town Center Activity Center. Even better: MYOH is here to stay all summer long at the following dates and locations nationwide! HOW MUCH IS A PAIR AT MYOH? Depending on your combo, price starts at P895. Pins range from P100 to P150.